Whether you’re on a ghost tour, a voodoo tour, or a historical tour of New Orleans, the chances are high that you will hear stories and legends of the City’s beloved Queen of Voodoo, Marie Laveau. Marie Laveau was a free person of color living in the most colorful city in the United States, New Orleans. 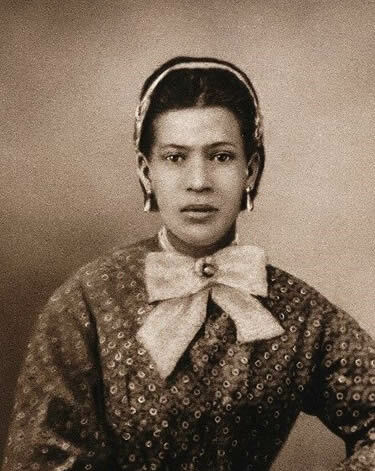 An article in The New Orleans Times Picayune, April 1886, adoringly remembered Marie Laveau, as “gifted with beauty and intelligence, she ruled her own race, and made captive of many of the other.” A Creole woman with her own set of rules and strong beliefs who was surrounded by the political and religious influence of wealthy white men. Marie Laveau was a trailblazer for all women, her strong convictions and loyal confidentiality have kept her a mysterious legend for centuries. It is believed that Marie Laveau was born in the French Quarter of New Orleans. When she was born was not recorded, but by doing some research and math, it has been deduced it was in 1801. Her mother, Marguerite Darcantrel, was a freed slave and mistress of her father, Charles Laveaux, a wealthy mulatto businessman. Marguerite gave birth to Marie at her mother, Ms. Catherine’s home, and then returned to her relationship leaving her baby girl with her mother. Marie Laveau was the first born free in her family. It is said that Marie’s great-grandmother came to New Orleans as a slave from West Africa in the mid-1700s. Her grandmother, Catherine, was purchased by a free woman of color. Catherine was eventually able to buy her freedom and build her small home in the French Quarter, where Marie Laveau would live and become the legendary Voodoo Queen of America. On August 4, 1819, a young Marie Laveau married Jacques Paris, a free person of color from Haiti, at St. Louis Cathedral. Her father, who never married her mother but signed documents declaring to be Marie’s father, stood at her wedding and signed the marriage contract on her behalf on July 27, 1819. Her wedding gift from her father was property that he owned on Love Street (now North Rampart). But documents show that by 1822 Marie and Jacques were living on Dauphine Street between Dumaine and St Philip. The city directory lists Jacques as a cabinet maker. Most researchers say that Marie and Jacque did not have any children, however, Baptismal records from St. Louis Cathedral show entries for two daughters. Marie Angelie Paris baptized in 1823 and Felicite Paris baptized in 1824 are both listed as the daughters of Marie Laveau and Jacques Paris. Felicite’s records state that she was seven years old at the time of her baptism, which would mean that she was born in 1817, two years before Marie and Jacque’s marriage. Unfortunately, the records on Marie Angelie and Felicite stop there. The mysteries that surround Marie Laveau started early in her life. The disappearance of her first two daughters is similar to the disappearance of Jacque Paris. There is no documentation of his death, though the baptismal record of Felicite declared him to be deceased. What we do know for certain is that Marie called herself “the Widow Paris” for the remaining years of her life. In around 1826, Marie found love again with Louis Christophe Dumensnil de Glapion. Glapion came from a prominent New Orleans family, a wealthy white gentleman that would spend his last thirty years in a common law marriage with Marie Laveau - interracial couples were common in New Orleans, but forbidden to marry by law. Catherine, Marie’s grandmother passed away in 1831. A creditor surfaced and claimed that Catherine was indebted her home and an additional lump sum. Her cottage on St. Ann, that Marie had grown up in, was put up for auction. Glapion came to the rescue and purchased her childhood home. The Creole cottage on St. Ann would continue to be the home of Marie Laveau, Christophe Glapion, and their family until the end of the 19th century. Christophe Glapion died in June of 1855, after being Marie Laveau’s common-law husband and devoted father to their children for almost thirty years. There is no evidence of Marie ever taking up with another man after Glapion’s death. One can only assume she knew it would be impossible to replace a love so big. There are stories out there that say Marie started having babies with Glapion immediately and that they had 15 children over the course of 20 years. However, what is actually recorded is that they had seven children from 1827 - 1839. Three of these children died in infancy. Marie Philomene Glapion, born a “free quadroon” in 1836, lived the longest of the children. She would eventually be who many assumed the infamous Marie II. Marie Laveau: Voodoo Queen or Good Samaritan? Nobody knows how Marie Laveau spent her days or her nights, but the story that most tour guides tell is that she was a hairdresser to wealthy white women who felt comfortable confessing their darkest secrets and fears to Marie. Some part-time researchers think that Marie II actually held the hairdresser profession. The Widow Paris was much more likely to spend her days in service to others. Marie was a generous woman of devout Catholic faith and known to use her means and “magic” to help those in need. Marie attended Catholic mass regularly, her home filled with images of saints, and she created a space that was protected and safe for all that lived with or visited her. She ministered to prisoners locked up inside the Cabildo, offering guidance to redemption and forgiveness through Jesus Christ. Marie Laveau was a woman filled with compassion and strong religious faith and a clear intention to help the people in her community. John Kendall, a local writer in the early twentieth century and a self-professed expert on Marie Laveau, wrote, “After dark, you might see carriages roll up to Marie’s door, and veiled ladies, elegantly attired, descend and hurry in to buy what the old witch had for sale. An arrant fraud, no doubt, but money poured into her lap down to the last day of her evil life.” Mr. Kendall was not a fan of Ms. Laveau; perhaps he was one of many that thought Voodoo was part of the dark arts, which is unfortunate. The core value of New Orleans Voodoo is protection. New Orleans Voudou (Voodoo) is the only Afro-Catholic religion to emerge in North America. New Orleans Voudou was born of the influence of not only the African nations that were at the root of the religion but also from the New World colonies that had brought in African slaves. We have to remember that in the 1700s there were many enslaved in Saint Domingue, Cuba, Brazil, as well as Louisiana. And it was the Haitian Revolution that began in 1791 that had the most significant influence in the creation of New Orleans Voudou. And it was the frightening stories of the Revolution that heightened the fear of the religion in the white community. The Haitian Revolution began with a Vodou ceremony at Bois-Caiman. A Vodou Priest led the service which included sacrificing a pig and a blood oath to overthrow the French. Just a few days later, rebel slaves began to burn the sugar plantations and kill the white population. The New Orleans’ Spanish Judicial Archives has a 1773 documented case in which several slaves were tried for conspiring to kill their master and the slave overseer by means of gris-gris. Gris-gris in New Orleans is a bag of herbs or magical substances that is carried or delivered with the intention of taking control over another, protection, or for good luck. This comes from the African gregries bags, bags with blessed objects or substances that were believed to have magical properties of protection or power. The slave owners were convinced that the practice would insight slave rebellions. It is likely that as the influx of African and Haitian slaves was coming into Louisiana and New Orleans, their practices began to blend. Some say that the elders passed down what they remembered and the young slaves began to incorporate all of these practices into what is now New Orleans Voodoo. The making and carrying gris-gris bags was a huge part of the Voodoo practice, and if you think about it, quite similar to statues, candles, and pendants of saints which are adorned by Catholics. Praying to “lesser” deities, communing with loa (spirit), and placing offerings at altars are common practices in many faiths. But these secret, “uncivilized” practices generated pure fear in the white community. There is much speculation on how Marie Laveau rose to her throne as Voodoo Queen. There is the theory that she trained under the guidance of Sanité Dédé and Marie Saloppé. Probably the most exciting theory is that she was a student of the famous Dr. John. And others rationalize that she would have been raised in a collaboration of Catholicism and Voodoo by her grandmother and mother, both of whom would have been practitioners with Catholic faith. There may even be some elements of truth in all of these theories. Visit New Orleans and take a Cemetery or Ghost Tour and you will undoubtedly hear about Marie Laveau’s followers and her mysterious gatherings in Congo Square. Congo Square is just a short walk over Rampart St. from the Laveau-Glapion house on St. Ann. In the 1800s, Code Noir granted Sundays and holidays to the New Orleans slaves. They would spend their free time cultivating gardens, fishing, and other things that would give them goods to sell and trade. Many would have their Sunday worship at St. Augustine’s Church and walk over to Congo Square with their goods to set up a market. By the mid-1800s Congo Square had become more than a market, it was a community center for New Orleans people of color. Marie Laveau would attend the gatherings in Congo Square on Sundays and sell her gris-gris bags, offer advice and service to her community, and partake in the celebration. It is here that legends talk about her singing and performing her spiritual celebrations, conjuring the Great Serpent Spirit and becoming filled with the spirit of loa, wearing her Queen of Voodoo crown, proudly. The Congo Square celebrations were weekly; however, there was one night a year that was sacred to the Creoles who practiced Voodoo, St. John’s Eve. St. John’s Eve, or the Eve of the Fest of St. John the Baptiste, is an observance of the summer solstice, Midsummer’s Eve. The day is acknowledged and celebrated among many cultures and religions, dating back to the Celtics, Druids, and European Pagan rituals. For the New Orleans Voodoo community, it meant coming together for ritual bathing in sacred waters and communing around bonfires. And like the Sunday Congo Square celebrations, St. John’s Eve ceremonies were supposedly lead by Marie Laveau. You can use your imagination and the images that have been planted in our minds by modern cinema, to picture what exactly went on during these ceremonies. Hollywood tells us it was a lot of naked dancing and orgies around bonfires. Even the white journalists of the 19th century used the mysterious celebration to report the supposed “savage and immoral” acts. Today the celebration of St. John’s Eve is still alive and revered. It takes place on Bayou St. John in New Orleans and brings together the practicing Voodoo community, as well as those with respectful curiosity. You will find everyone dressed in white and following the lead of local Voodoo Priestess, Sallie Ann Glassman, doing their best to make Marie proud. Tour guides often tell the tale of the shady switch that Marie Laveau and her daughter concocted. Marie was growing older, and with her daughter’s likeness to her, they would lead the community to believe that Marie Laveau wasn’t aging. Her daughter would wear her mother’s clothes and carry on in her mother’s professional footsteps, leading everyone to think that Marie’s powers were so strong, she would stay young forever. Marie Laveau attended daily mass well into her old age and visited prisoners trying to convince them to repent their sins for salvation. Surely the folks in the French Quarter saw her continue with her routines over the decades. But as we now know, the gossip and embellishments that surrounded her life were in abundance. The one common thread in most of the stories about Marie II is that she was a bit more “wicked” than her mother. She was a proud woman who carried herself confidently and was by all definitions, an entrepreneur. 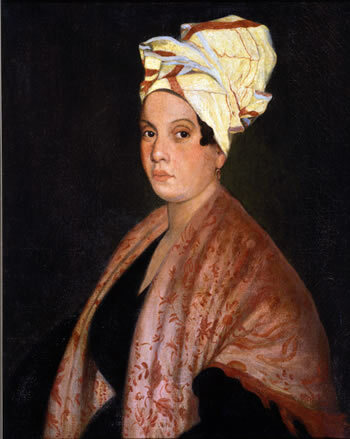 Marie II is the Laveau that reportedly was the hairdresser to New Orleans’ affluent white women, and she used their secrets to concoct money making schemes disguised as supernatural powers, and always kept her eye on the prize. Or so they say. In truth, we’re not even sure who Marie II was. Was she daughter Marie Philomène or Marie Heloise? Perhaps Marie II was one of Marie Laveau’s granddaughters. There is also some speculation that Marie II was not of relation to Marie Laveau at all. Carolyn Morrow Long writes in her book, A New Orleans Voudou Priestess: The Legend and Reality of Marie Laveau, “I can only conjecture that the second Marie Laveau, successor to the Queen of Voudous, must have been some other woman who, although unidentified and undocumented in the archival record, lived in the famous cottage on St. Ann during the later decades of the nineteenth century.” Marie II, another mystery that surrounds the enigmatic life of Marie Laveau. On June 15, 1881, Marie Laveau died peacefully in her cottage on St. Ann Street just a few months shy of her 80th birthday. New Orleans Cemetery records prove that she was interred in the “Widow Paris” tomb in St. Louis No. 1 Cemetery. Marie Laveau’s tomb is the most visited tomb in all of New Orleans Cemeteries. Unfortunately, not all visitors are respectful, and there have been countless acts of vandalism to her tomb. The defacing of her tomb became such an issue that the Archdiocese and New Orleans Catholic Cemeteries (NOCC) no longer allow tourists to enter St. Louis No. 1 Cemetery without a licensed tour guide who holds a permit from the NOCC. If we listen to the guides on Ghost Tours or Voodoo Tours, then we are excitedly lead to believe that Marie Laveau was indeed a Voodoo Queen and that her ghost still roams her cottage on St. Ann and has even been sited at her tomb. Unfortunately, the only recorded truth to any of those stories is that she indeed live and die in her St. Ann cottage, which was demolished in 1907. Songs have been written about her. She has inspired movies. And the popular television show, American Horror Story, has created a fan cult devoted to her legend. She has crossed the line from a historical figure to famous pop-culture icon, 138 years after her death. Marie Laveau will always be a central figure in the history of New Orleans. If we go by the obituaries that were written about her, she was a healer and philanthropist. She was a woman who nursed the unfortunate souls stricken by Yellow Fever, who ministered the prisoners in the Parish Prison, and who attended Catholic Mass daily. Perhaps there was Voodoo woven through her faith and service. We’ll never know. The one rumor that has proven itself to be true was that secrets were safe Marie Laveau. And still are. Including her own.